Similar to our trip to Nyungwe, we didn’t go to Akagera National Park in Rwanda until we had visitors. Kirsten’s parents came to visit us, and so we went with them on a small safari. 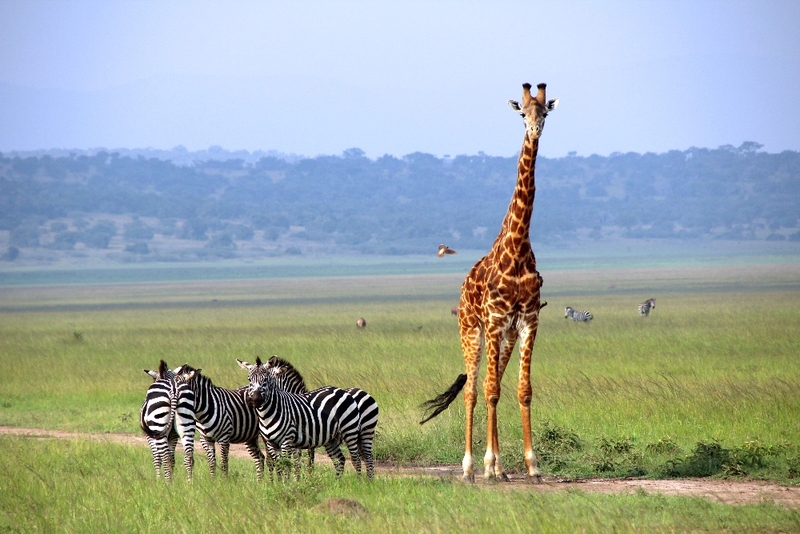 Akagera is not a big park, but it has a lot to see! There are hippos, giraffes, zebra, impala, warthogs, and many other animals. Akagera National Park in Rwanda. Most exciting, though, is the elusive elephant! I know what you’re thinking. 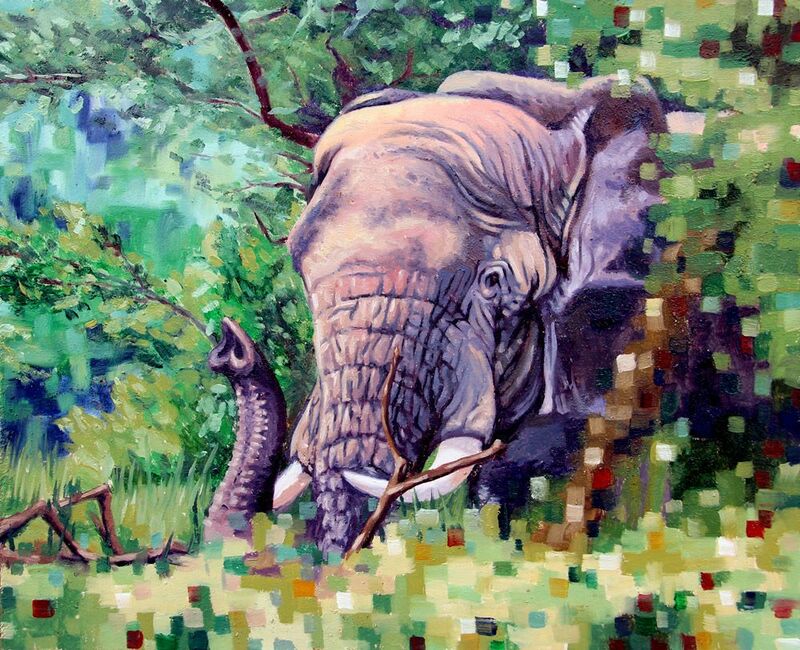 How can an elephant be elusive? They’re so big! That is true, but they stay pretty hidden during the day and come out at night. There is evidence of them everywhere. They knock down trees, and leave little…uh…gifts everywhere. Many people who visit the park never see an elephant. Things weren’t looking good for us, until suddenly our guide spotted one hiding in the trees! If the elephants come toward the car, the driver speeds off, and no one is allowed to get out of the car if there is an elephant around. Kirsten did, of course. Our guide freaked out and told her that if the elephant charged, the car would leave her. Why are the elephants so dangerous in Rwanda? Well, it’s true what they say about elephants never forgetting. Twenty years ago, people who were hiding in the park killed some of the elephants for food, and the remaining elephants have not forgotten. Apparently, if they see a person outside of a vehicle, they will charge them and kill them. We have elephants at the zoo in St. Louis, but it is not the same as seeing them where they live. The elephant that we saw was a little bit terrifying, and we were much more aware of how big and powerful he was. In that park, the elephant is king. A few months after we visited the park, they reintroduced lions into the park. There are too many impala, and they are hoping that the lions will help with population control. Of course, lions are always good for tourism. Maybe when we come back to visit Rwanda in a few years we will get to see the lions! 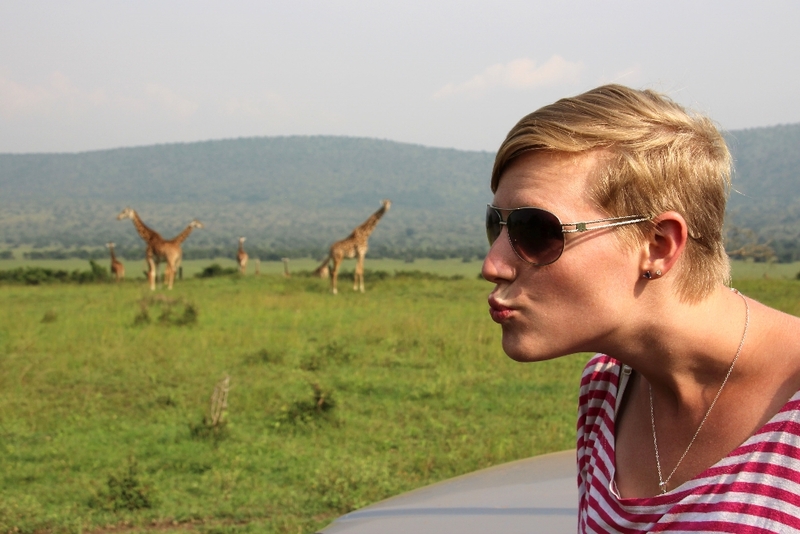 Of course, my favorite animal at Akagera National Park will always be my wife pretending to be a giraffe. Kirsten is a cute giraffe! I loved the elephants too Doug; the big one was hanging out in an old fishing village one time; I was never tempted to get out, so didn’t need to know how dangerous it was. The first time at the park, they were bathing each other across the lake, blowing water out of their trunks, a whole group of them. Then on two visits (always had to take our visitors there) we saw no elephants. I hope the elephants don’t take a “liken” to the giraffes; they’re my favorite, but Kristen does do a nice imitation! It really is a lovely park to take visitors! It’s pretty affordable for volunteers. We are excited to come back someday as tourists. We joke that tourists come for one week, and see more of Rwanda’s attractions than we do in 2 years.We’re a little bummed that we won’t see the gorillas, but we will when we return!